The thesis at hand presents a novel design approach for turn trajectories. The approach considers the flight performance of the controlled aircraft by taking into account the linearized closed-loop dynamics during the design process. 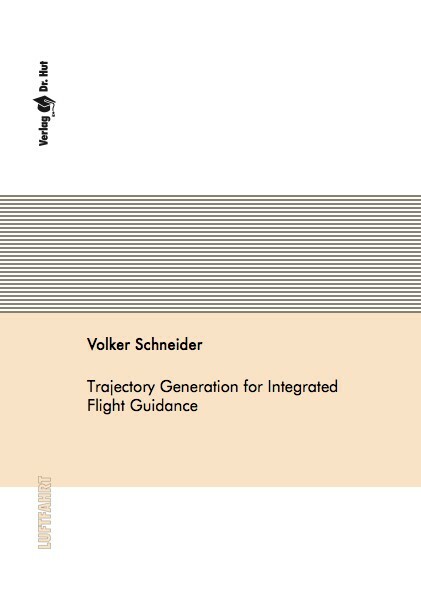 Instead of specifying requirements regarding flight path primitives, the design process, presented in this thesis, formulates demands directly to the aircraft behavior and determines a set of controller commands, which ensures the aircraft to fulfill these requirements. By separating the feed forward command design from the flight path determination, the process is able to compensate delays of the closed-loop system and significantly improves the trajectory tracking performance of the controlled aircraft. The advantages of the trajectory design algorithm are demonstrated by a fully integrated trajectory generation system. The functional breakdown of this system is oriented on the elements of the current civil airspace procedures. The implementation is optimized for the use on a real-time platform as part of an existing automatic flight guidance and control system. This system consists of various functionalities including an inner loop as command augmentation, basic autopilot modes, waypoint following, and automatic take-off and landing. The trajectory generation algorithm was demonstrated in flight on the experimental aircraft of the Institute of Flight System Dynamics, Technical University of Munich.